Device for producing dry ice pellets which are mainly used for dry ice blasting but also for cooling. Dry ice is made from liquid carbon dioxide. In a dry ice pelletizer (example in Fig. 1 and technical data in Table 1), liquid CO2 is expanded under controlled conditions. During this process, part of the carbon dioxide evaporates, cooling the remainder by evaporative cold until it freezes to form a so-called carbon dioxide or dry ice snow. This snow is then pressed though an extruder plate (Fig. 2) to obtain round, hard pellets. Pellets with a diameter of 3mm are used as a standard. For special applications, e.g. very sensitive surfaces, it is also possible to use pellets with a diameter of 1.7mm. Another option is to use pellet crushers which crush the pellets, reducing their impact on the surface. Most dry ice pelletizers are designed as compact, powerful multi-purpose machines. 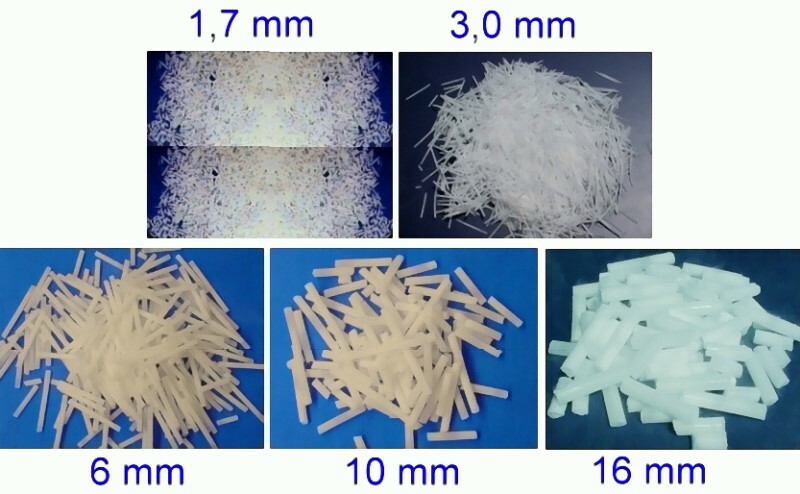 Depending on their equipment, they can produce pellets of different sizes (Fig. 3) with production capacities of up to several hundred kg/h (ASCO Kohlensäure AG offers product capacities from 25 to 700kg per hour).